That Denise Farinos, CFO of General Motors South America, has a big job is an understatement. She manages the finances of what some executives have described as the U.S. automaker’s most valuable asset in terms of growth and return on investment. The jewel in the crown is Brazil, which with nearly 700,000 General Motors vehicles sold last year, trails only the company’s U.S. and China operations in unit sales worldwide. A 45-year-old Sao Paulo native and a 22-year GM veteran, Farinos said in a recent interview with Universia Knowledge@Wharton from GM headquarters in Sao Paulo that she’s lucky to be crunching the numbers during this time of growth. Auto sales are booming across the region thanks to expanding economies, rising incomes, easier credit and appreciating local currencies that make imported vehicles cheaper. With its leading 20% market share in South America, GM is riding the wave. Overall car sales in Brazil, in particular, grew 11% last year and should rise by at least 5% in 2011. But even though these are undoubtedly good times for automakers in South America, it’s not all a smooth ride for Farinos. Since the economic downturn, GM had been more known worldwide for the bailout it received from the U.S. government than for the cars it sold. With the government paid back, restructuring and an IPO raising US$20 billion last year, the fears for the company's survival have passed. But other challenges are ongoing for GM's finance executives. For Farinos, that includes managing constant currency fluctuations that have a direct bearing on GM’s domestic market and its ability to increase the number of vehicles it exports. She must also keep an eye on measures being pursued by governments concerned about a “credit bubble” and rising inflation. On April 7, for example, Brazil's government under Dilma Rousseff slapped a 3% surtax on new loans to try to slow credit growth, a move that could dampen car sales. Universia Knowledge@Wharton:You've arrived at the top echelon of GM management. Tell us about your career trajectory. Denise Farinos: After joining GM, I worked in Brazil in several areas of the company, such as marketing, manufacturing and engineering, always in the finance function. To complement my professional experience, I was lucky to participate in several projects with strategic importance that really built my experience and gave me a solid understanding of GM’s business. I got an MBA at Thunderbird School of Global Management in Arizona. My first international assignment was as CFO of GM’s Colmotores operation in Colombia. That was a great experience, because I was deeply involved in the day-to-day operations. I was there in June 2009 when GM declared Chapter 11 bankruptcy, which impacted us all, but was a good experience for me. I’d attribute any success I've had to commitment, dedication and an eagerness to learn. Universia Knowledge@Wharton: What role does finance play in helping an automaker improve its product portfolio? Farinos: We can help much more than one might think. Finance is involved in the development of a product from the beginning. We contribute by presenting ideas and options to make a project viable and sustainable. Also important is our contribution in making sure that unrealistic information is not included in the business case. We can help the team develop a great car with viable price, cost, volume and investment estimates. Universia Knowledge@Wharton: GM’s Brazil operation, which has been rolled into GM South America, has an illustrious history as part of the career paths of several top managers, including former CEOs Fritz Henderson and Rick Waggoner. Why is that? Farinos: GM Brazil has the capability to design a new car from scratch, then build it and sell it in a competitive environment. The process of developing a new product from concept to sales brings valuable opportunities and experience to any professional. You learn how to work within a complex product development chain, and externally you find out how to compete in a mature market. Universia Knowledge@Wharton:What are major differences between the U.S. and Brazilian markets in terms of consumer preferences? Farinos: U.S.consumers usually prefer to buy a big used car rather than a small new car, mainly because the U.S. offers good infrastructure that allows safe and nice "drivability" and easy parking for big models. What Brazilians classify as compact cars, such as the GM Chevrolet Vectra, U.S. customers think of as [too] small. Moreover, Brazil's infrastructure is more like the south of Europe, with narrow streets and limited parking. Small cars are a better fit in this environment, and more practical. Also, I believe that the differences in consumer preferences are a consequence of the contrast in purchasing power. In the U.S., the average household income in 2010 was US$47,000; in Brazil, it was US$10,500. Universia Knowledge@Wharton: The resistance of GM’s South American operation to the global crisis is remarkable. Can you explain why sales there have been robust despite the global slowdown? Farinos: South Americaresisted the global crisis well. While global car sales dropped 3.3% in 2009 versus 2008, South America dropped only 1.8%. Then in 2010, the total car industry increased 12.2% versus 2009, but South America increased 18.1%. Just for reference, the U.S. auto market dropped 21.4% in 2009 versus the previous year, before bouncing back 11% in 2010. China’s numbers were 51.5% growth in 2009 from the previous year, and 33.1% growth in 2010 year on year. Universia Knowledge@Wharton: Brazil's car market was helped during the crisis by government incentives, correct? Farinos: Yes, buyers did not have to pay a 7% sales tax. But those incentives went away in early 2010 and we still didn’t have any drop in sales. Quite the contrary: Brazil's industry sales last year grew 11.9% year on year, on top of 11.4% growth in 2009. What has helped enormously is the greater availability of credit than five or six years ago. Some borrowers can get extended terms of up to five or seven years and they pay a smaller down payment, so cars are more affordable now. But this year, the Brazilian government is trying to cut credit back to fight inflation. So far, we see no dramatic impact on our sales. But if the government forces banks to require bigger down payments and takes other measures to restrict credit, we could see an impact in the second half of the year. More important than incentives, I think, are rising household incomes. In 2006, the average Brazilian income was US$6,000 and, as mentioned, in 2010 it was US$10,500. Then there is the issue of low penetration. In Brazil, car ownership is only 165 cars per 1,000 inhabitants, whereas in the U.S., there are 812 cars per 1,000 inhabitants. The figures show the tremendous opportunities for our industry here to sell more cars. The market expectation is that in the next five years, Brazil's penetration will be greater than 200 cars per 1,000 inhabitants, or even higher depending on income growth. The percentage of the population able to buy a car rose to 61% in 2009 from 45% in 2006. The percentage may grow to 72% soon. So we want to capitalize on global growth in the industry and deliver higher volumes. Universia Knowledge@Wharton: What is behind the rising incomes in Brazil and other Latin American countries? Farinos: It’s the commodities boom and the impact it has had on economic growth. There is so much more money and jobs because of it. Look at Brazil, which sells sugar, iron, coffee, beef and orange juice to the world. Venezuelahas oil and Argentina exports soybeans. Chile sells copper and Colombia ships oil, coal and flowers. All this generates more revenue, giving governments more money to finance internal infrastructure development. Companies have resources to invest and add jobs, and workers have more disposable income. As far as car companies are concerned, rising incomes, low car ownership penetration and a very young population add up to a fantastic market. We see all these positives in Brazil. Universia Knowledge@Wharton: Why are auto sales a key economic indicator for an economy? Farinos: The auto industry generates a lot of jobs. Each automaker employed generates seven additional jobs in the whole chain, including suppliers, dealers and so on. Additionally, the industry brings high technology to a country, with high added value, like emission controls, air bags and other electronic components. Those are elements that contribute to the country’s development. That’s why governments tend to incentivize the industry. Having automakers in your country is a win/win situation. Universia Knowledge@Wharton: How would you compare GM South America with GM China as a market? Farinos: Chinais a unique country and its growth is incomparable, without precedence, and it is an important importer of Latin American commodities. Consumers buy a range of models, from economy cars to the most expensive ones. Universia Knowledge@Wharton: Your boss, GM South America president Jaime Ardila, has talked about Brazil as a template, a strategy for GM going forward post-bankruptcy. For example, he has mentioned that GM in Brazil sells only one brand — the Chevy — and has a more flexible workforce. Can you discuss those advantages? Farinos: We mainly only work with the Chevy brand and within this brand, we sell all product ranges, from the Celta economy car to the Omega luxury model. That helps us in terms of investing in advertising and servicing. It’s cleaner from a dealer’s perspective as well as for consumers because once they know the brand, they trust it and can keep on buying it. They may start with a small car and graduate to more expensive models. From the company’s perspective, one brand [requires] less advertising and it implies less complexity than managing two or three brands. It creates a lot less bureaucracy. As far as flexible work rules, yes, 30% to 40% of GM's workers in Brazil are temporary and an even higher percentage in Andean countries. That gives us flexibility to move production schedules from one plant to another to meet market demands. We believe that’s a great strength of our business model in South America. There is much more flexibility in work rules here than in the U.S. and Europe, where the labor markets are more mature and workers don’t accept things that are used here. But the government here allows us to do it, which is a tremendous advantage. Universia Knowledge@Wharton: What was the rationale behind GM opening a new technology center in Sao Paulo in 2009 and what innovations have emerged? Farinos:GM Brazil was chosen as home for one of five GM global product development centers. Each center has the capability of designing a new car from scratch, as well as to work in tandem with our other global design centers to develop global architectures. Additionally, the Brazilian design center includes the only GM testing grounds in South America. The new Chevrolet Montana and Chevrolet Agile were completely designed and developed in Sao Paulo, and we are working on a global small vehicle and a mid-sized truck with other GM engineering centers. It's very important for Brazil, not just because [it gives] the company the ability to design exactly what this developing market needs, but also for the knowledge it brings here and the opportunity it gives employees to design and produce that car. Universia Knowledge@Wharton: Have Chevy models developed in Brazil been taken to other countries? Farinos:Yes, the Montana mid-sized pickup has been exported to South Africa and Mexico and will also be exported to several other countries. Also, the Agile hatchback model developed here is being exported to Argentina. Universia Knowledge@Wharton:What are GM’s expansion plans in manufacturing in Latin America in 2011 and 2012? How does it rank as an investment destination? 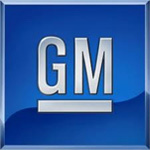 Farinos: Between 2008 and 2012, GM Brazil will invest more than US$3 billion in its manufacturing plants. [That investment] includes plant expansion and the development and production of two new vehicles, among other projects. Brazil will get the majority of GM’s South American investment, but Colombia is also being expanded. Universia Knowledge@Wharton: In terms of “green” cars, the U.S. is opting for electric cars and not the ethanol models that dominate the Brazilian car market. Why? Because of the low availability of ethanol at most U.S. gas stations? Farinos: Ethanol fuel made from corn, which is what most U.S. ethanol is, is not as attractive for the U.S. market from a cost or environmental perspective [as sugarcane-based ethanol is in Brazil]. There is also the issue of the impact of ethanol from corn on the food market. Plus, ethanol is not widely available in the U.S. For the U.S. to move to more flex-fuel vehicles [which burn ethanol], it would require a technological shift to more efficient production methods. GM’s strategy is to continue to pursue multiple energy solutions. Universia Knowledge@Wharton: Brazil was once a major export platform, shipping between 25% to 30% of its cars overseas, but now that percentage is down to around 12%. Why? Farinos: Brazil's export business was strongly impacted by the global crisis and the real revaluation, which reduced the competitiveness of our products. Even so, the export business is important and will continue to be explored by GM Brazil. We still export to Argentina because of our free trade agreement, but much less to other countries. Luckily, we are dealing with big growth in Brazil and so can utilize full plant capacity despite not having the export options. Universia Knowledge@Wharton: Despite the impressive growth, is there something that keeps you awake at night? Farinos:Any potential crisis keeps me awake. Although changes bring certain challenges and excitement, a crisis usually means cuts and restrictions in a severe way, so it is not that easy and pleasant to manage one. We all felt the impact of the global crisis, the drop in sales and the Chapter 11 bankruptcy filing. We are watching the credit situation in Brazil because that could have an impact on our business. The government is worried about inflation and a credit bubble, and so at the end of last year, announced restrictions on loans, increasing the down payment some car buyers have to make. The government has also raised interest rates over the last month and has shortened the terms of many loans to 24 months from 36 months. So far, the public is adapting to it and still seems to have money to buy cars. It’s probably because incomes have grown. So we are still capturing the market. But by the end of the year, we need to [assess that again]. Universia Knowledge@Wharton:A frequent criticism of finance executives at many companies is that they are too far removed from operations. How would you address that? Farinos: I strongly believe that in order to manage a business, we need to understand the whole strategy, and be close to each stakeholder. Understanding their concerns helps each decision. We pay attention to what customers are saying and then bring it inside the company so that engineering, sales and marketing people understand the comments we receive from outside. In Colombia, I met with dealers once a month and had periodic lunches with customers. Universia Knowledge@Wharton:As a CFO, you are helping to manage a tremendous growth phase for GM in Brazil and the rest of the continent. That must be exciting, but also a bit daunting. Farinos: There are challenges in every country in South America, not just in Brazil. You have countries that are more protectionist, like Venezuela and Ecuador, and others that are opening their doors, like Colombia and Chile. But I’m not complaining. It's very good to be involved here and in this phase of the company’s history. Universia Knowledge@Wharton: Forgive the cliché, but as you are a female CFO at such an important company and at such a relatively young age, is there any advice you would impart to other women working their way up the corporate ladder with dreams of reaching your level? Farinos: My advice is to be yourself, and not worry about being a woman. Worrying too much about it can be a catastrophe and undermine your career. I never saw being a woman as a problem in my career. Just be committed. And get all the education you can.